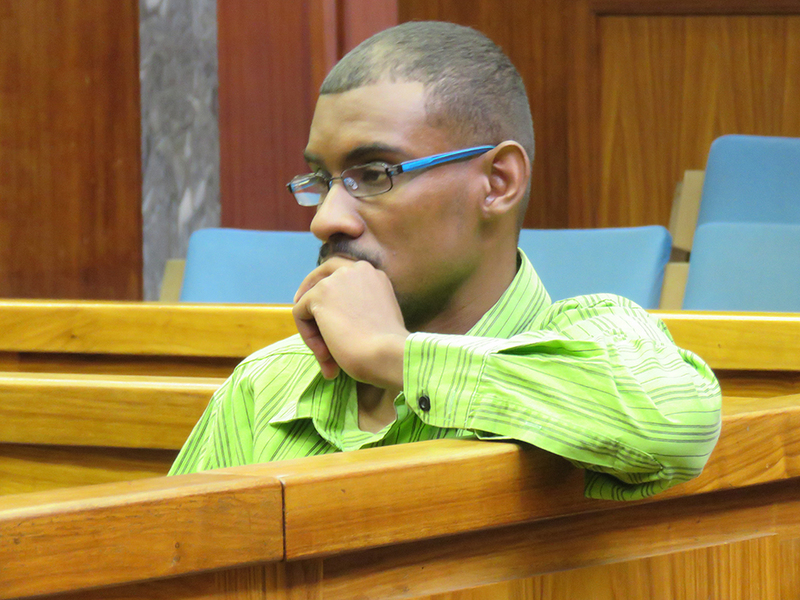 A WINDHOEK man accused of fatally stabbing his girlfriend 27 times with a knife denied that he killed her when he went on trial this week. 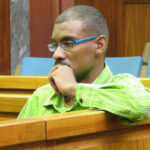 Ryno Diergaardt, 30, who was previously employed at a medical aid fund, tendered a not guilty plea before judge Nate Ndauendapo, followed by a short plea explanation containing the words “I do not remember the dates, objects involved in the murder, nor do I remember stabbing the deceased 27 times”, read out by his lawyer Boris Isaacs. The deceased, Tiffany Lewin, 21, was killed on the eve of the national day of prayer against gender-based violence in Namibia in 2014. The couple had a two-year-old child at the time of the incident. The deceased also had a four-year-old child from a previous relationship. The trial kicked off with the deceased’s mother, Elsabe Lewin, testifying for the State. The visibly shaken Elsabe, holding back tears as she recounted her daughter’s abusive relationship, told the court that she read messages in her daughter’s phone from Diergaardt threatening to kill her. “I will kill you, myself and my family will take care of our child,” she claimed one message read. Elsabe, a resident of Rehoboth, said her mother took care of the deceased in Windhoek and that although she wasn’t always there, her daughter was open about her relationship with the accused. “She told me she wanted nothing to do with him. The accused and I never had a good relationship because even after he impregnated her, he never approached the family to apologise. With regards to the murder, he wrote us a letter a year after Tiffany was killed, stating he did not mean to do it and that he loved Tiffany and the kids,” Elsabe testified. Diergaardt’s best friend, Dylan Maritz on Wednesday testified that Diergaardt admitted that he killed the deceased when he went to visit him at the holding cells, but that he could not believe he could do such a thing because of his quiet nature. “I still cannot believe he killed Tiffany. I am not saying he didn’t, I am just saying it is hard to believe he did that. He told me he was not himself. Between the two of us, he is the softer one, I am usually the one to get into fights and he was the peacemaker,” Maritz said.